We are nearing that time of year again! There's a lot going on as we lean into the holiday weekend a few days early. It's basically time, isn't it? But before you get cracking on your Thanksgiving preparations, have a kickass weekend. Whether it's with some delicious pizza tastings, free museum visits, or some exclusive film screenings, it's going down. You'll definitely want to keep some of these events on your radar this weekend! 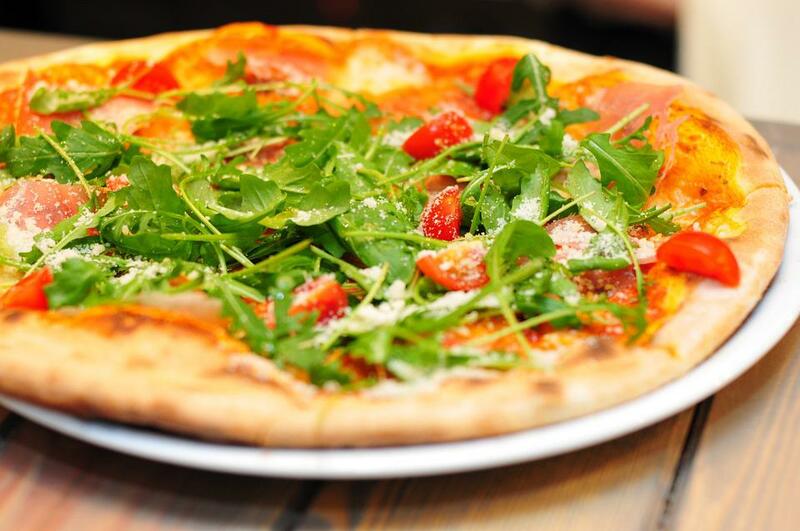 We'll just leave this here... Not that you need much convincing to make time for a delicious, reasonably priced pizza tasting extravaganza, but we'll give you the scoop anyway. If you have yet to reap the benefits of Pizza Tasting Week, which started last Sunday, you have until the end of this weekend. Here is the list of participating restaurants so make a res before it's too late, people! The Velvet Reunion will be a celebration hosting live music, food & drinks, and standup comedy in commemoration of the end of communism in Czechoslovakia. Student protests filled the streets on November 17th, 1989, forcing the government to seize power. It looks like this event will likely sell out soon, with limited space for guests. So if you haven't already gotten a ticket, you should still check out the super cool building. known as the Bohemian National Hall, it's located at 321 East 73rd Street and will be open to the public to explore all weekend! Did you know you can check out the Whitney Museum of American Art for free on Fridays, from 7 to 9 p.m.? Well, technically it's a pay-what-you-wish type of deal. So you can donate whatever amount you'd like upon entry! And there are a few exciting, brand new exhibits starting this week, like a series by L.A. painter Laura Owens. Pay the Whitney a visit this weekend at 99 Gansevoort Street! This is the first festival dedicated to Arab film in NYC. Cinema Village will be hosting a series of screenings from around the world, telling stories of Arab history and culture. Cinema Village is at 22 East 12th Street—Grab tickets here and check out the show! Looking to really unwind from your stressful week? This guy is hilarious and will be just the positive energy you need. Gianmarco Soresi is a breakout writer, performer, and comedian. He's made a number of TV appearances on Blue Bloods, Comedy Central, and Tracy Morgan’s new show "The Last O.G." Check him out live this Saturday, 6 PM at the East Village Comedy Club—Reserve tickets here! Stage 48 is hosting House of Exile, with music by DJ Prostyle, dance performances (a dance battle), and multiple special guest performers like A$AP Ferg, Slick Rick, and Laron Smith. Don't miss out on the party, you need this hype AF night this weekend. Head over to Stage 48 on 605 West 48th Street! saveartspace Featured Artist: @PaisleyToadStudio Title: SquiggleFest Jazz #saveartspace saveartspace.org Non-profit organization transforming advertisements into public art by and for the local community. The NYC School of Visual Arts, Chelsea Gallery, is hosting this exciting show in celebration of urban design and culture. The work featured in "Street Smart" is all by SVA Graduates, inspired by city environments, with multimedia work from photography, installation, paintings and various other mediums. Many of the pieces are politically or socially charged, in true NY fashion, making bold and complex statements about the many layers of urban life. The exhibit kicks off officially this Saturday, November 18th, and will continue until December 20th. Check it out at the Chelsea Gallery at 601 West 26th Street, 15th floor! The Annual Anime convention is coming to NYC this Friday, showcasing the best of Japanese pop culture. Anime fans, creators, and publishers will join in on the celebration, with interactive exhibits, exclusive screenings, and discussion panels. Finish off the weekend with some anime appreciation Sunday evening at 5 p.m. Or you could check it out Friday as well, tickets here! Because we're eager to really get into the holiday spirit as soon as possible. 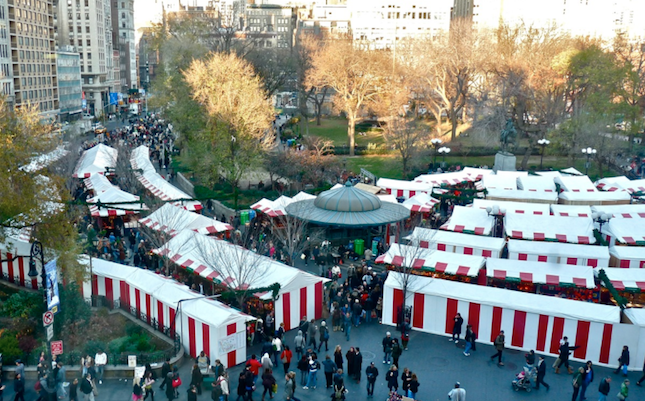 Stop by the Union Square Holiday Market for some early gift shopping. Or just get stuff for yourself, we won't judge! They've got a little bit of everything over there from cute little artisan crafts to delicious food vendors. All at Union Square Park, of course, at West 14th Street and Union Square West. donatenyc On November 19th, we're teaming up with @grandbazaarnyc, NYC's largest weekly flea market, to bring you donateNYC day! For more info, head to the link in our bio. For all your thrift shop fiends, donateNYC teaming up with Grand Bazaar, hosting a massive flea market of donated clothes and other goods. If you're the type that could go and spend hours perusing, you won't want to miss this. We'll definitely be checking this out! It's going down Sunday on Columbus Avenue at 77th Street from 10:00 a.m. to 5:30 p.m.